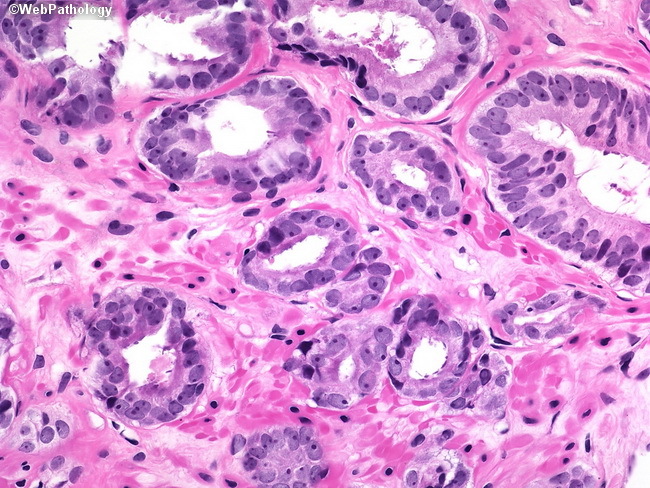 Higher magnification of the previous image showing Gleason score 3+3=6 prostate cancer. The glands have well-formed round, oval, or distorted lumens. There is nuclear enlargement and hyperchromasia with prominent nucleoli. Basal cells are not seen.